Welcome to the Village at Navarre vacation rentals. The village of Navarre was developed on Navarre Beach in 1990 as a private waterfront community. There are 46 luxurious properties in this village located on Navarre beach in Navarre Florida. 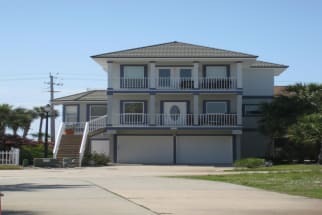 Underground utilities, tropical landscaping and the Mediterranean architecture of the homes make this the perfect place to experience the island lifestyle on Navarre Beach! Navarre beach is nicknamed “Florida’s best-kept secret” for its beauty. This community provides tons of activities to ensure a fun-filled vacation. Enjoy the community pool of the Village or rent jet-skis, kayaks, surfboards, paddleboard, and bikes or go parasailing if you wish. The village of Navarre also has 20 private boat slips and a fishing pier! Some of the local favorite restaurants include TC’s Front Porch, the Slippery Mermaid Sushi Bar, and Alphy’s catfish house. There is tons of local shopping and other entertainment to ensure your vacation never has a dull moment. Village at Navarre properties is the perfect fit for your next family vacation. Please select from one of our properties below and refer to the contact information found on each listing to get into direct contact with the property owners. The property owners will gladly help you plan your stay and answer any questions you have. We hope you enjoy your trip to “Florida’s best-kept secret”.